Each account is allowed to dial up to 15 unique international telephone numbers during a 30-day plan cycle, which resets each time a new plan is redeemed. Unlimited international calls are available to landline and mobile numbers in select destinations only, which are subject to change at any time. Calls must originate from the US or Puerto Rico. No international roaming allowed. Other terms and conditions apply. 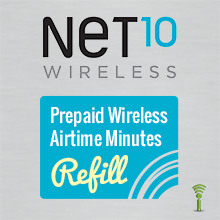 Please refer always to the latest Terms and Conditions of Service at net10wireless.com.